With experience as both practitioners and educators, authors Robert Rufus, Laura Miller, and William Hahn offer a unique perspective that bridges the gap between theory and practice. They present concepts in the context of a scientific approach, emphasizing critical thinking, reasoning, and problem solving—skills that are useful in a wide variety of academic and professional environments. And because its content is consistent with the AICPA curriculum for the Certified in Financial Forensics (CFF) credential, this text gives your students a head start on the path toward career advancement. 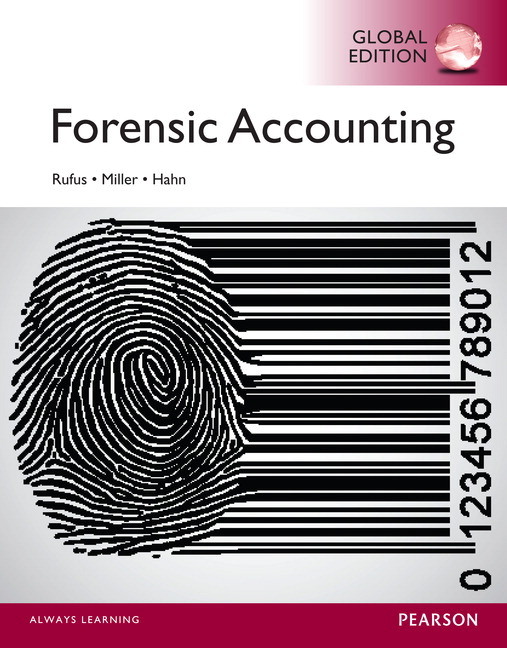 • Introduce the requisite forensic accounting skills: The text identifies a three-layer skill set and provides students instruction in the key areas of forensic accounting expertise. 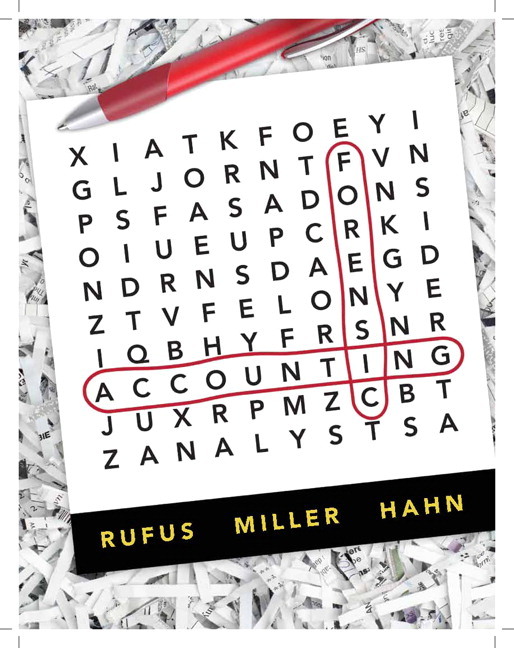 • Offer an inside view into forensic accounting practice: Integrated case studies and sample documents give students a glimpse into the actual practice of forensic accounting. • Highlight the importance of a scientific approach: The authors explain the benefits of utilizing a scientific approach and provide opportunities for students to practice its application. Consistent with the AICPA curriculum for the Certified in Financial Forensics (CFF) credential, the text highlights a three-layer skill set for forensic accountants . • Core skills, which are considered prerequisites for this text, include functional competencies in accounting, economics, and finance. Armed with these core skills, students can use this text as a springboard for developing both fundamental and specialized forensic knowledge. • Areas of fundamental forensic knowledge include the legal environment, engagement planning, methods of analysis, report writing, and professional responsibilities. Students must build a strong knowledge base in these areas to be prepared for forensic accounting practice..
• An introduction to specialized forensic knowledge familiarizes students with key issues in specific practice niches such as fraud, business valuation, economic damages, and computer forensics. According to recent AICPA surveys, these areas comprise the vast majority of actual forensic accounting engagements. A case-based instructional design provides situational context for course material that increases student understanding and facilitates the integration and application of diverse concepts. Each chapter is accompanied by a case that highlights key issues addressed in the chapter. References to the case are included throughout the body of each chapter, and the case is revisited in the end-of-chapter exercises, helping students to focus on the case as they work through the chapter. And because most of the cases are products of the authors’ professional experiences, they represent authentic scenarios that students can expect to encounter in their careers. Moreover, records of some cases are available in the public domain, allowing students to exercise their research skills in gathering additional information. Exhibits and appendices to various chapters contain examples of documents that forensic accountants commonly encounter in practice , such as a legal complaint, an engagement letter, interview transcripts, and financial statements. As with the cases, these are drawn from the authors’ actual professional experiences. An emphasis on the scientific approach is one of the text’s distinguishing characteristics. Based on their experience as practitioners, the authors promote the scientific process as the most effective and efficient way to gather, synthesize, and summarize evidence–the basic functions of a forensic accounting engagement. A scientific approach enhances the credibility of a forensic accountant’s analysis and conclusions, which is critical for expert witness testimony. This theme is emphasized throughout the entire text, and students are prompted to apply scientific methods in completing their first forensic accounting assignment–a fraud investigation involving Mountain State Sporting Goods in Chapter 7. End-of-chapter exercises provide students learning opportunities of several different types. • Short-answer chapter questions and multiple-choice questions focus attention on key chapter concepts and terminology. • More abstract in nature, workplace application projects challenge students to apply key concepts and exercise critical thinking. • Consistent with the scientific approach, chapter problems require students to explore the chapter content in more depth, thereby practicing a required skill of forensic accountants. • One or more cases per chapter require students to integrate several chapter learning objectives to analyze a problem and arrive at a solution.